As Pam mentioned in an earlier post this month, it has been fun to notice the varied range of outdoor Christmas decorations (some with themes, others a mix of themes). On the lookout for something different, I came across this yard, which was decorated almost entirely with wreaths. 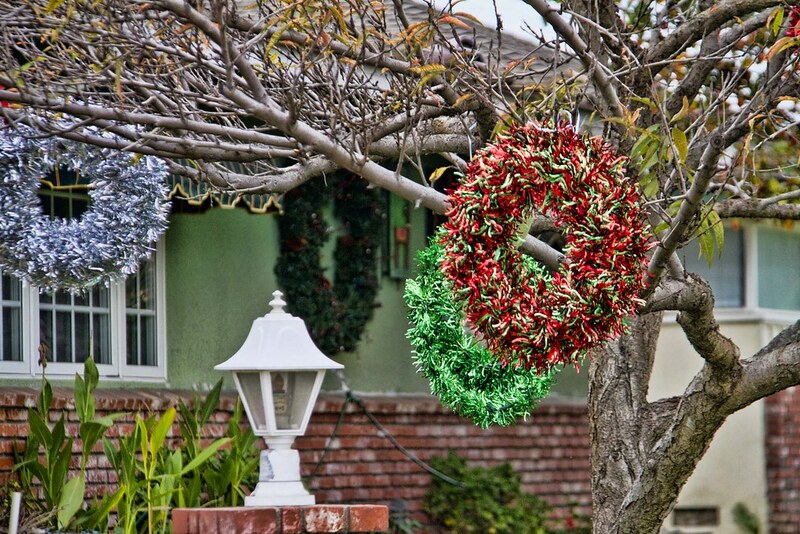 I especially liked the wreaths hanging from the tree out front. Thats fun! By the way, happy birthday, momma!! !